braai with strangers is to avoid the tricky subjects of politics and religion. That’s not advice you can apply to a trip to Israel, because Israel is politics and religion personified. 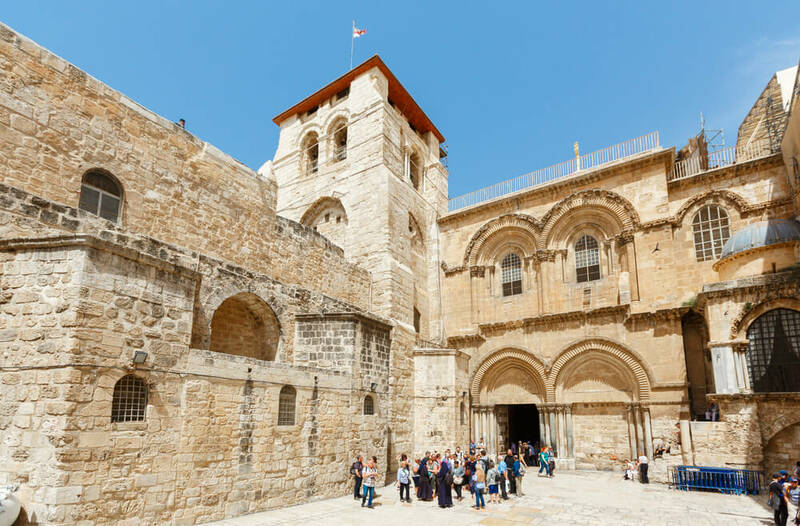 This tiny country packs a global influence way beyond its physical size, with its status as the Promised Land for the Jewish nation, the birthplace of Jesus for Christians, and where Muslims believe Prophet Muhammad ascended to heaven. That’s a potent and often volatile combination. Its strategic location between Africa and the Middle East and on the fringe of Europe also lures conquerors from different directions, with each invasion leaving its traces. It’s an unpredictable melting pot, in other words, and unlikely to be the first choice for casual travellers just aiming to chill out in their skimpies and eat exotic food. If that’s what you’re after, rather stick to Thailand – or any other country where you won’t be greeted at the airport by a two-hour interrogation from heavily armed immigration officers. That was my first impression of Israel – gruff security officials rifling through my suitcase and questioning the shorthand in my notebook, convinced I was an Arab sympathiser carrying coded instructions to wreak destruction. Eventually they let me in, but instead of leaving me confident that real troublemakers won’t make it past the border, it highlighted the edginess that has always dogged Israel. 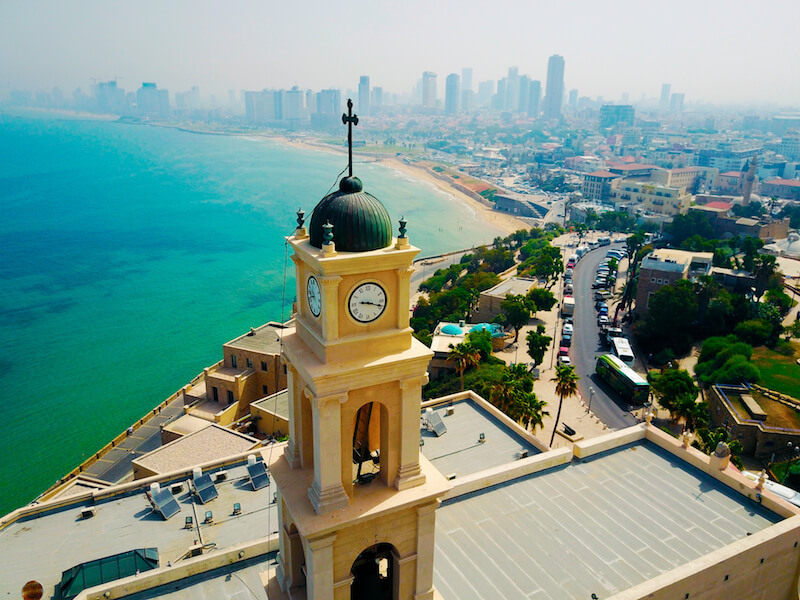 Still, once you’re in, the country’s diverse attractions belie its compact size, like the 24/7 coastal vibe of Tel Aviv, the weird lack of life at the Dead Sea and beautiful hills, valleys and vineyards. The top attraction for most visitors is Jerusalem, the heart of the country with a conservative atmosphere and a cauldron of ancient treasures for Jews, Christians and Muslims alike. This is where you can follow in the footsteps of Jesus, and many travel companies offer specialised trips to the Holy Land to bring alive Biblical sites like the Mount of Olives and the Sea of Galilee, or give you the chance to be baptised in the River Jordan. Jerusalem. 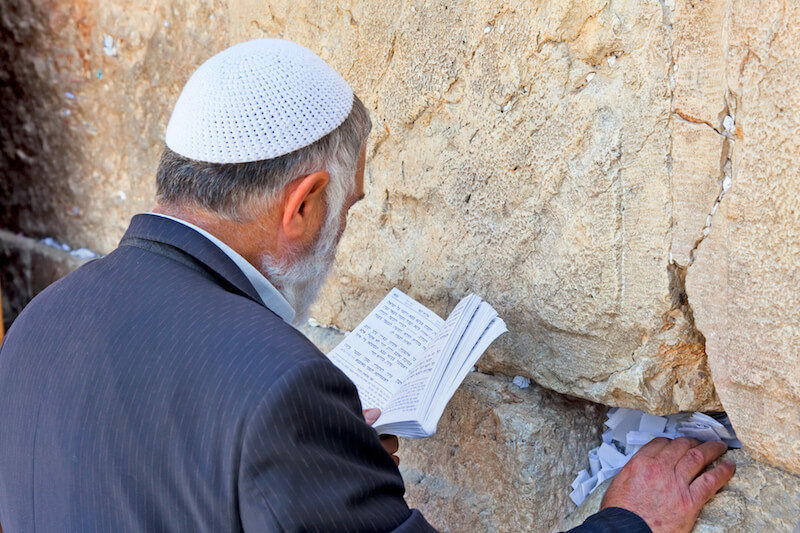 Orthodox Jews sweep through the city with their long hair, beards and distinctive hats, praying at the Western Wall and tucking prayers written on pieces of paper into its crevices. Christians try to absorb the vibes of 2,000 years ago by walking the Via Doloroso, although shops selling religion-oriented tourist tat mar the spiritual atmosphere, and Muslims worship at the Dome of the Rock. The walls have begun to crumble, but arguments about which faith should restore them and whether restoration will disturb the sacred land of another faith make such projects difficult in this city of diverse opinions. false politeness. Revel in it, and let your inner honesty emerge! segregated into a small section for women and a far larger section for men. To catch the place at its liveliest get there at sunset on a Friday to celebrate the start of Shabbat. ascended to heaven from this spot. 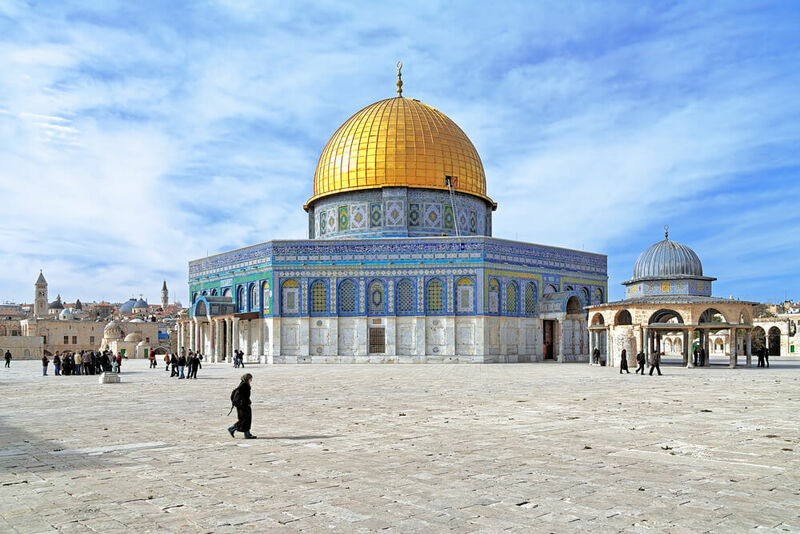 Historians say the dome was constructed in the late 7th century for Umayyad Caliph Abd Al Malik, to instil a sense of pride in the Muslim population and to show the Jews and Christians that Islam could build a more splendid structure than any of theirs. One-upmanship has always been in fashion. The original gold disappeared long ago, and the shimmering roof is now covered by 5000 gold plates donated by the late King Hussein of Jordan. Steps below the rock lead to a cave known as the Well of Souls, where it’s said you might hear the voices of the dead. Praying to a variety of Gods, no doubt. vegetables and sweet treats like halva and sugar-soaked pastries. The area sprawls across several streets with names that were once a handy guide to what they sold, like HaAfarsek (Peach Street), HaTut (Berry St) and Ha’Egoz (Walnut St) but things have become more muddled up since ancient times. as tourists. For a potted overview of 5,000 years of history, the Israel Museum has indoor and outdoor galleries covering all kinds of culture from carpet weaving to sculpture. It also houses the Dead Sea Scrolls, some of the world’s oldest biblical manuscripts, dating back to about 132 CE. You can spend the full day here, and feed your body as well as your brain with lunch at one of the three cafes. Worshipping hedonism. While Jerusalem is a Mecca for pilgrims of various faiths, heathens like me are happy to hit the road to Tel Aviv, where hedonism is a huge religion. 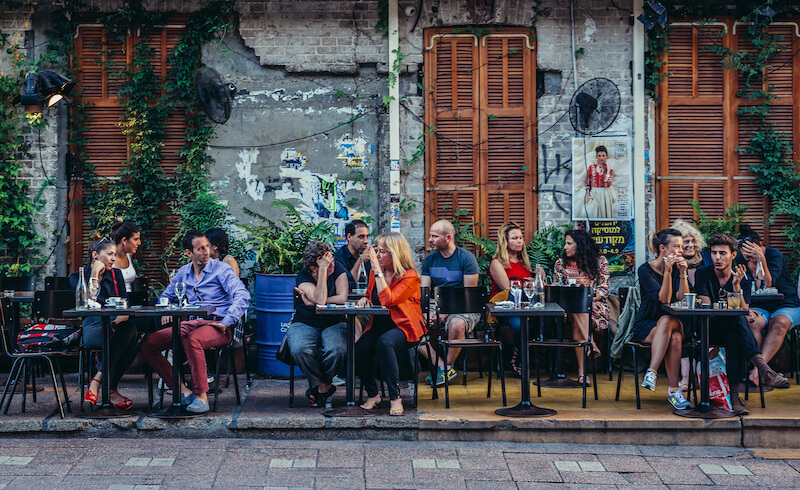 This is Jerusalem’s wayward sister, flamboyant and cosmopolitan with year-round great weather, golden beaches and a vibrant cultural scene and nightlife. There’s always a party going down, with beachfront bars, upmarket cocktail lounges, high-altitude rooftop bars and dimly-lit underground clubs. including a gay-friendly one, and the main Gordon’s Beach, equipped with sun loungers, ice-cream parlours, an outdoor gym and an open air Olympic pool. Cézanne, Chagall, Degas, Gauguin, Monet, Picasso and Van Gogh. Less well-known artists display their work in small galleries or alleyways in the trendy suburbs. There’s a lively performing arts scene too, with a selection of theatres, concerts, classical music, opera and ballet. The White City area Tel Aviv’s centre was developed by architects who fled Nazi Germany in the 1930s and has more of that era’s Bauhaus architecture than any other city in the world. Heritage status. Rothschild Boulevard here is a great place to promenade and drink at the café kiosks. designer wear, beach gear and a great array of food stalls. The Dead Sea Duck. After Tel Aviv’s exuberant life, the Dead Sea can be pretty disappointing. Yes, I know it’s world famous for making you float automatically in its ultra-salty water, but to be brutal – see, I’ve caught the Israeli gruffness now – it’s not that pleasant. At the wrong time of year the water is cold, slimy and uninviting. But it’s the Dead Sea, so I have to do it, and despite the chill I strip down and inch forward like a wimp. I expect the buoyancy to bob me up like a cork, but I just keep wading in deeper with my feet firmly on the ground. lie back, and do the classic Dead Sea Duck impression. It’s fun for a few minutes, then I emerge cloaked in a slimy, mucky film. Since I’m messy already I slap on the dense black mud that clots on its shores until I look like the creature from the black lagoon, waiting for this famous gunk to make my skin all gorgeous and gleaming. changing rooms and open-air showers. You’ll be needing those. 10 were then executed by the last man standing, who committed suicide. When the Romans arrived, everyone was dead except for two women and five children who had hidden themselves away. 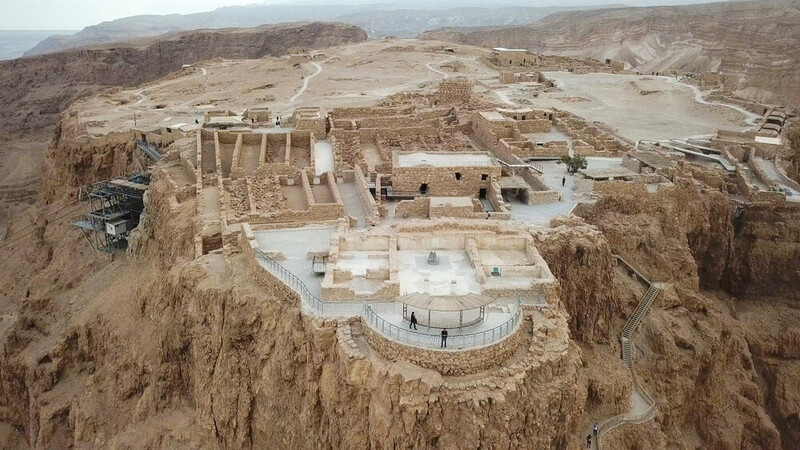 Archaeological excavations began in 1963 and Masada is now a Unesco World Heritage site. You can hike up or catch a cable car, and from the top you can still see some of the eight military camps where the Roman legions based their men. The effort needed to sack Masada was so great that the Romans commemorated the victory by building the majestic Arch of Titus in the centre of Rome, a design that later inspired the Arc de Triomphe in Paris. That’s too terrible a story to have as your final impression of Israel, so head further south to end your trip in Eilat. This lively tourist city sits on the coast of the Red Sea, with a coral reef that’s famous among snorkelers and scuba divers. If you can’t dive already you can take lessons here. You can also admire the sea life without getting wet at the Underwater Observatory Marine Park. 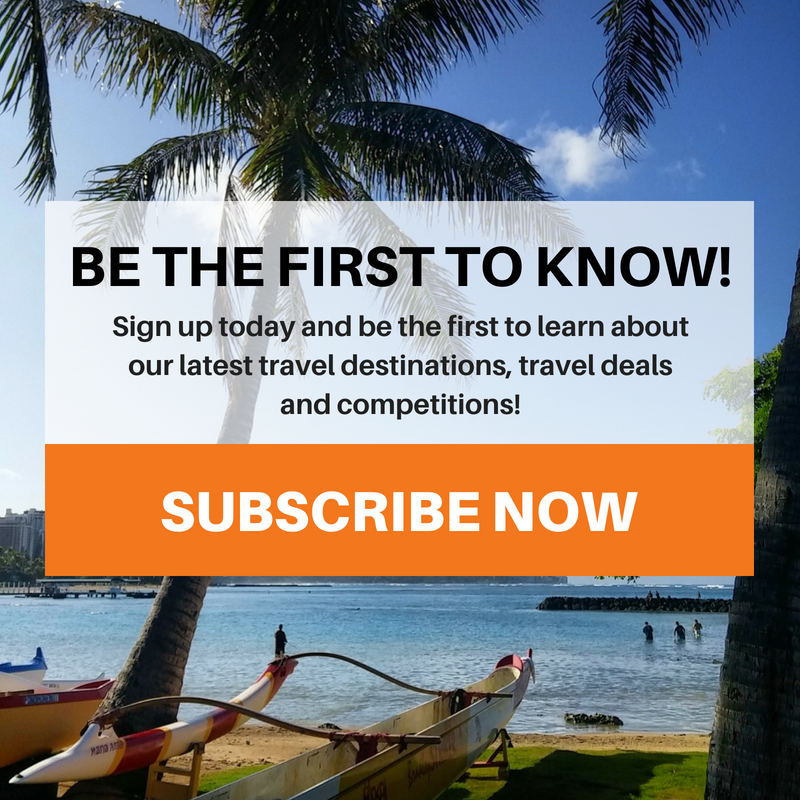 Turtles, sharks and stingrays glide by in large pools, rare fish have an aquarium of their own, and a glass-bottomed boat sails out over the coral reef. A highlight is the transparent 15m long tunnel where sharks and other marine life swim above you. South Africans can get a tourist visa valid for three months on arrival. hours a day, excluding Shabbat. Buy tickets from the driver. mid-afternoon on Friday until after sundown on Saturday for Shabbat. Inter-city buses are also excellent. You can drive from Tel Aviv to Jerusalem in under an hour on Route 1, or in about 1 hour 20 minutes by train or bus. Minibus taxis called sheruts follow set routes but have no pre-set stops, so you can get off wherever you want. They work around the clock except on Jewish holidays when they’re less prevalent. Uber is battling for permission to operate, but a rival taxi-hailing app called Gett is shaking up the market. city of Haifa, where the magnificent Bahai Gardens were planted to celebrate the Bahai faith. Some guide books describe this World Heritage Site as having one of the best views in the world, looking over the gardens themselves and out across Haifa bay. 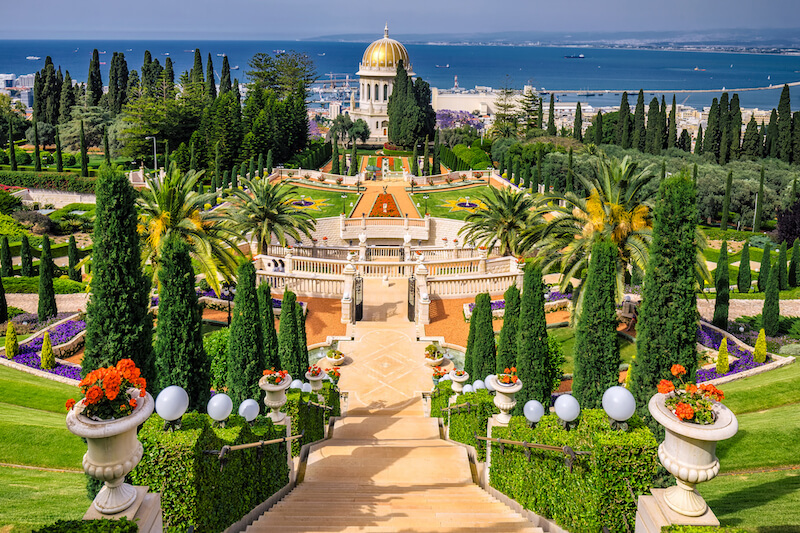 The 19 exquisitely landscaped terraces cover the slope of Mount Carmel, planted with trees and flowers from all over the world to symbolise the unity and diversity of mankind. Nine is a holy number in the Bahai faith, so there are 999 marble steps from the top to the bottom of the gardens, with waterfalls flowing beside them. risked their lives to help them. grounds include the Holocaust History Museum, Children’s Memorial, Hall of Remembrance, the Museum of Holocaust Art and a research institute that researches the phenomenon of genocide in general with the aim of avoiding another in the future. The main museum’s nine chilling galleries use photographs, films, documents, letters, art and personal items found in the camps and ghettos to tell the story. The Hall of Names is also emotionally challenging, an eerie space displaying more than three million names of victims that were submitted by their families. Another striking feature is The Memorial to the Deportees, depicted by a railroad car teetering over the cliff on the road winding down the mountain. Entry is free. Islam’s most sacred buildings, the Dome of the Rock and Al Aqsa Mosque. It’s equally revered by Jews as the site of the First and Second Temples. buildings, with the Dome in the centre. believed to be the route that Jesus walked on the way to his crucifixion. in it, allowing pilgrims to touch the rock. Two thousand years ago this was an empty patch of land outside the city walls, which explains why it now seems like Jesus was crucified in the middle of town.